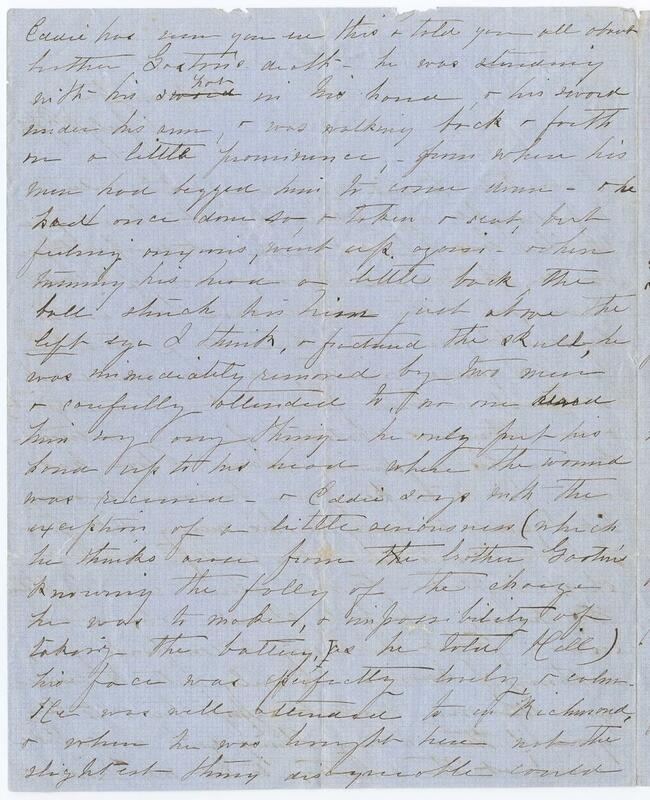 Item description: Letter, 17 July 1862, from Ann Claypole Meares to Catherine Douglass DeRosset Meares, the widow of Col. Gaston Meares (3rd. North Carolina Infantry Regiment). Col. Meares was killed on 1 July 1862 at the Battle of Malvern Hill. 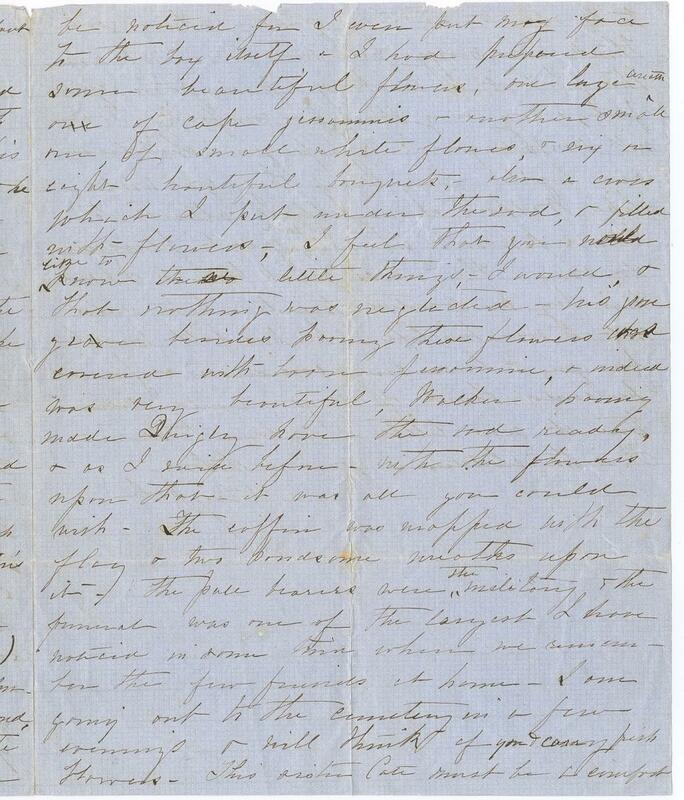 In this letter, Claypole Meares sends condolences, relates what she knows about Col. Meares’s fatal wounds, and describes preparations for his burial. Item citation: From the Meares and DeRosset Family #499, Southern Historical Collection, The Wilson Library, University of North Carolina at Chapel Hill. 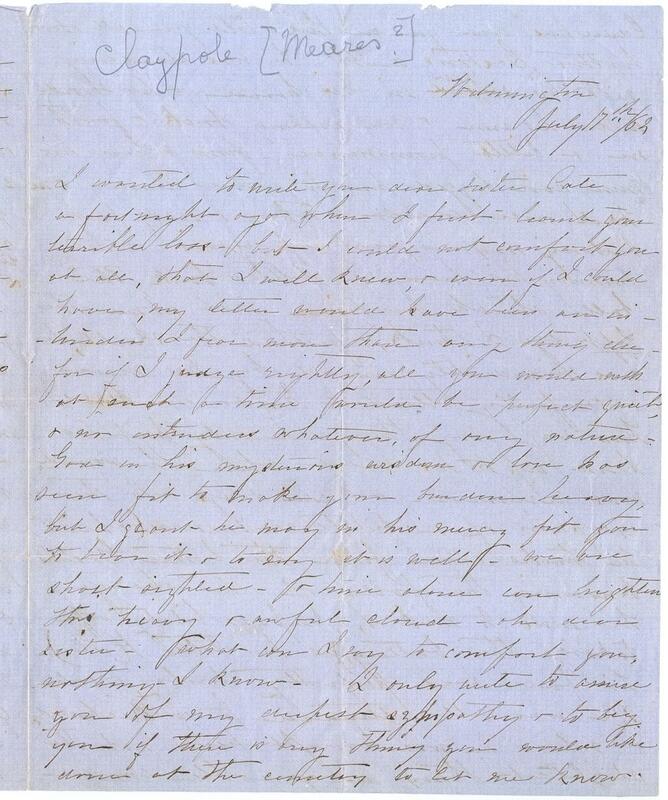 I wanted to write you dear sister Cate a fort-night ago when I first learned your terrible loss – but I could not comfort you at all, that I well knew, & even if I could have, my letter would have been an [intrusion?] I fear more than any thing else – for if I judge rightly, all you would wish at such a time would be perfect quiet & no intruders whatever, or any nature. God in his mysterious wisdom & love has seen fit to make your burden heavy, but I grant he may in his mercy fit you to bear it & to [say?] it is well. We are short-sighted – & him alone can brighten this heavy & awful cloud – oh dear sister – what can I say to comfort you. nothing I know. I only write to assure you of my deepest sympathy & to beg you if there is any thing you would like done at the cemetery to let me know. 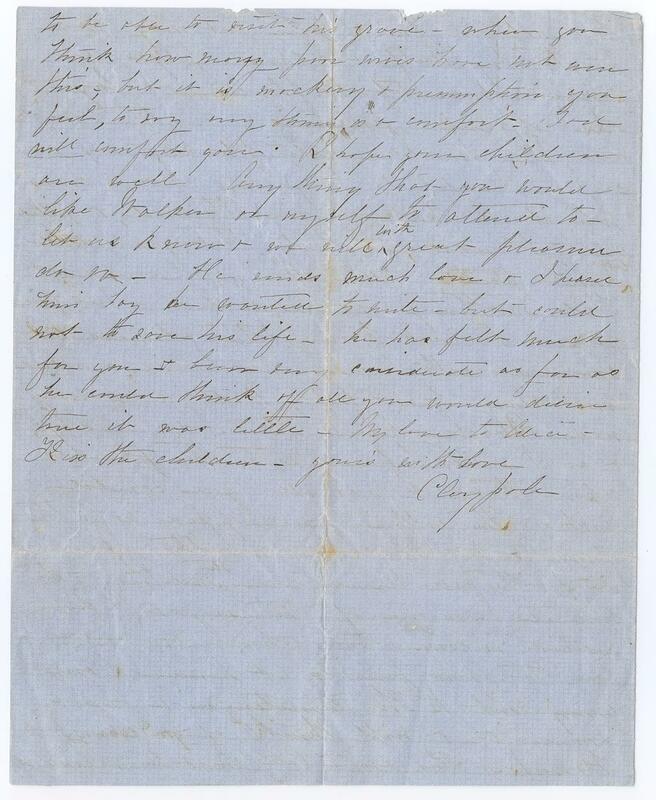 This entry was posted in Southern Historical Collection and tagged 3rd North Carolina Infantry Regiment, Ann Claypole Meares, Battle of Malvern Hill, casualties, DeRosset family, Gaston Meares, Meares family, Wilmington. Bookmark the permalink. Great eye. You’re exactly right. I have corrected the transcriptions. If you notice anything else, please do let us know. We were having a little trouble with this particular transcription. Thank you for your help!